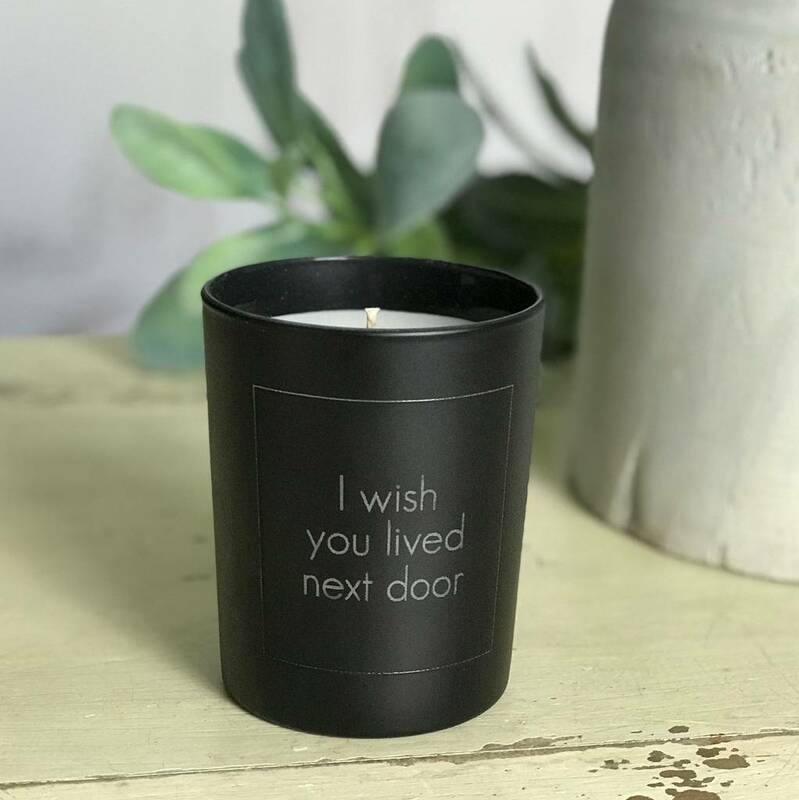 Beautifully scented, hand poured candle. 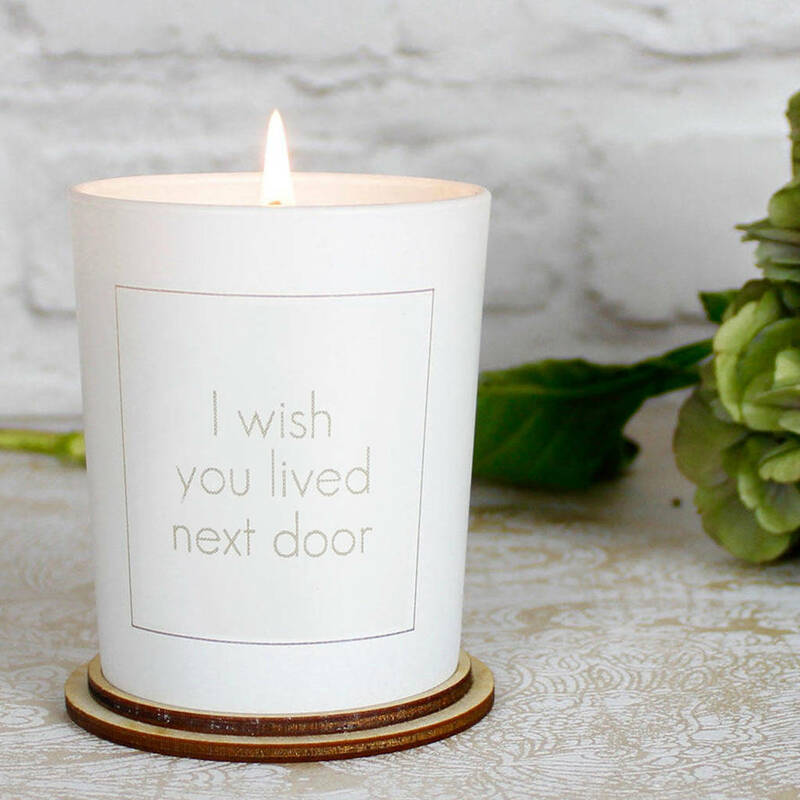 Who doesn't love recieving beautifully scented candles? A perfect gift for any occasion, Birthday, Bridesmaid gift, Mothers Day, New Home Present. using only the highest quailty mineral wax and cotton wicks with a burn time of approximately 40 hrs. Each candle is lazer etched onto the side. 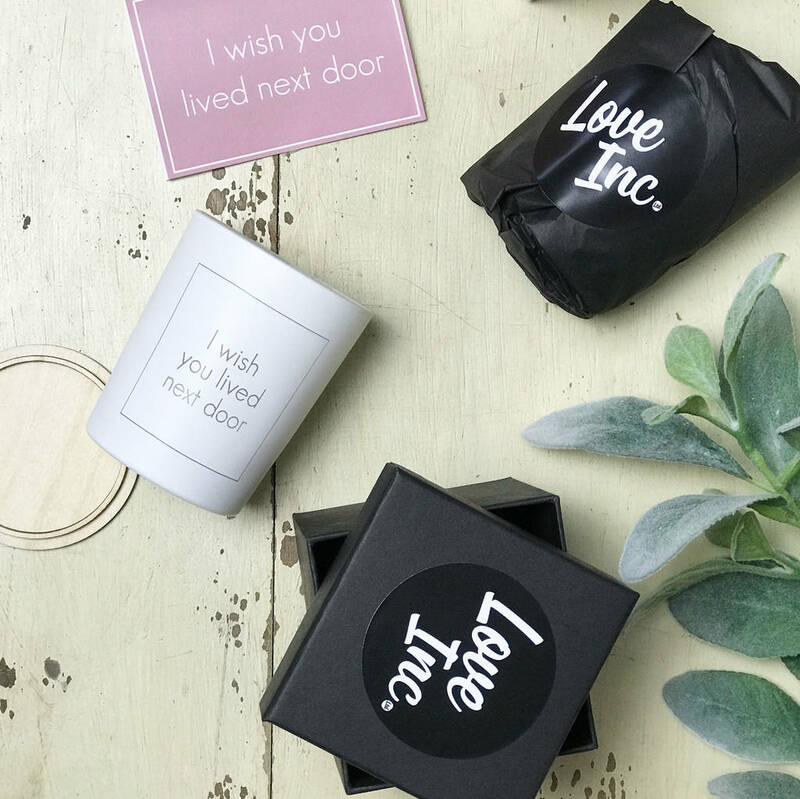 Each candle is wrapped in black tissue with a gift card for you to write to the recipient. Choose to add a wooden lid that can double up as a stand/base which protects your surfaces. Go the whole hog and add a luxury black gift box. 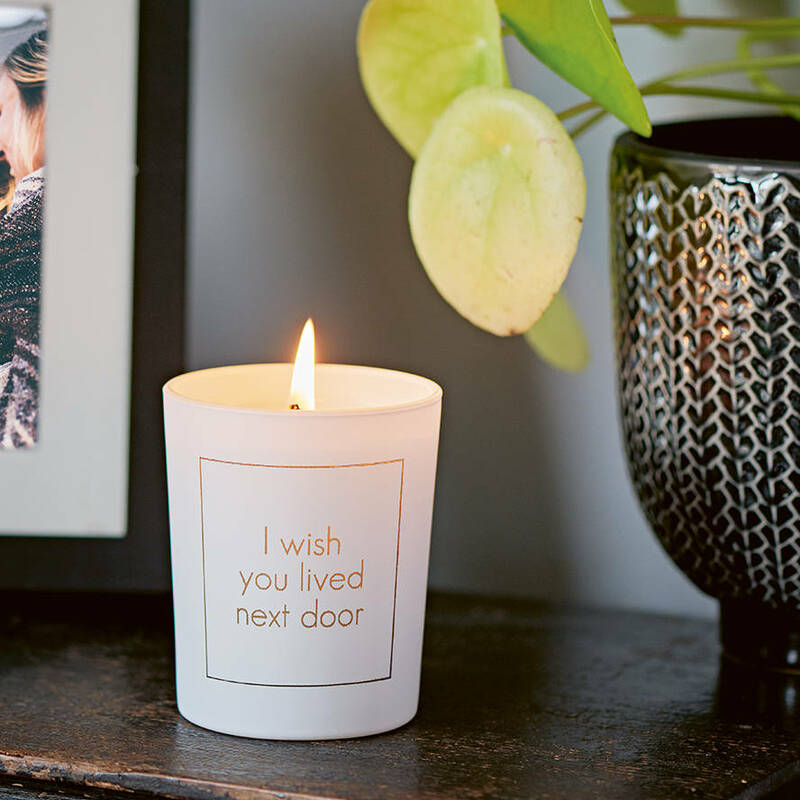 These beautiful candles are a great gift for a friend – or even for treating yourself. 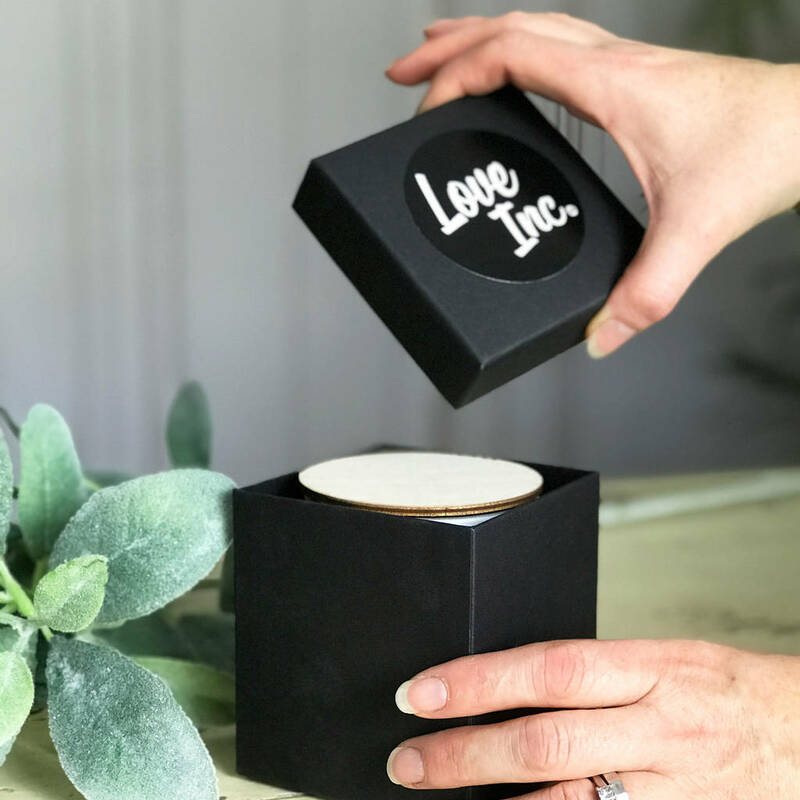 Each Love Inc Ltd candle is hand poured in the heart of Kent, using only the highest quality mineral wax and cotton wicks with a burn time of approximately 40 hrs. Each candle is laser etched onto the side. Mineral wax, cotton wick, 27cl powdered glass, ethically sourced wooden base/lid. This product is dispatched to you by Love Inc.